3153 - Photo: Nigel Petre Collection. 9005 "THE PRINCE OF WALES'S OWN REGIMENT OF YORKSHIRE" brings the 1A11 08:10 Newcastle - King's Cross service into the capital on the 24th July 1971. 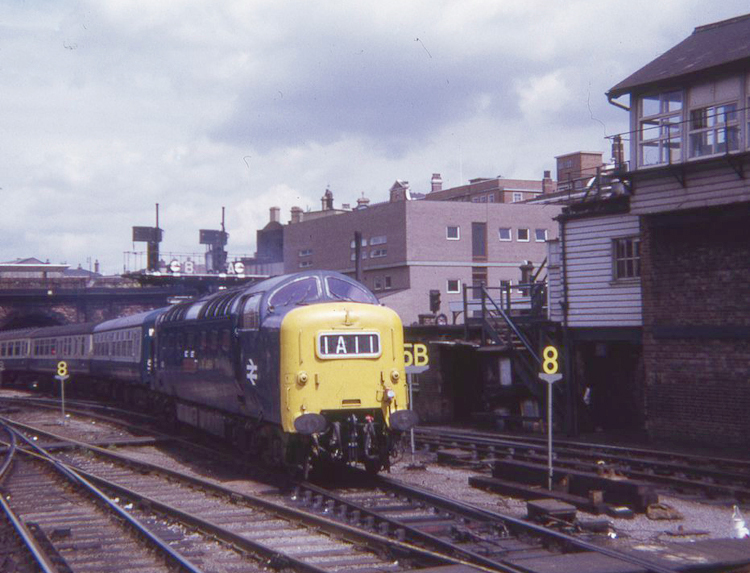 24/07/71 - 1A11 08:10 Newcastle - King's Cross. Book of the Deltics: Page 102 (not 12:30 ex Leeds as stated).